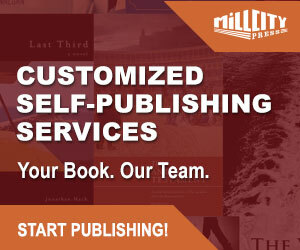 Mill City Press is an author solutions provider based in Minneapolis, Minnesota. Originally founded in 2005, Mill City Press began with an investment from Click Industries, then owned by former lawyer in intellectual property, Mark Levine. Levine, an author of two novels (I will Faithfully Execute and Saturn Return) and a highly successful book on negotiating the minefield of self-publishing companies (The Fine Print of Self-Publishing) quickly dipped his feet fully into the author solutions business, and by 2009 he was CEO of Hillcrest Media Group, the majority shareholder of Mill City Press. Hillcrest Media run a number of traditional and author funded imprints, as well as an ebook publisher, PublishGreen and a distributor for small presses. In fact Levine’s entrepreneurial skills has helped to build an impressive array of vertically integrated businesses in the book publishing world. In 2017 Salem Media bought Hillcrest Media and operations are now run through Xulon Press. Levine might reflect on the ease of doing things right and simply, but it’s something which has eluded many corporations and authors who threaded their way along the self-publishing path as far back as Peter Finch‘s How To Publish Yourself in the 1990’s, and long before then. I last reviewed Mill City Press in 2010 and this author solutions provider has developed quite a bit over the past two years while continuing to adhere to the core principles of transparency in services and providing quality books for authors at print cost with no profit mark-up and 100% royalties (a little about this later). Where MCP has really managed to get the balance right as an author solutions provider is not just offering self-publishing packages, but specifically delivering publishing programs that suit both book and author. MCP’s aim is to provide a complete publishing experience from file submission through to fulfillment and distribution, or simply services like editing, marketing or printing – whatever the needs of the author. When Levine researched companies offering author solutions services and wrote The Fine Print of Self-Publishing – he effectively wrote the blueprint of how author solutions providers should work with authors to deliver books of quality and not just publishing wishes. For Levine, an author should have the guidance, tools, expertise and opportunity to write, edit and publish the best book possible for their readers and the publishing trade, whether the book is traditionally published or an author pays for publication services. That’s a lot to live up to when you point cross-hairs at your competitors before you’ve set up your own solutions provider. In my original review of Mill City Press, while I was impressed, I still had some irks and niggles with their services and approach (particularly with book editing) and the way some fees were structured within packages. 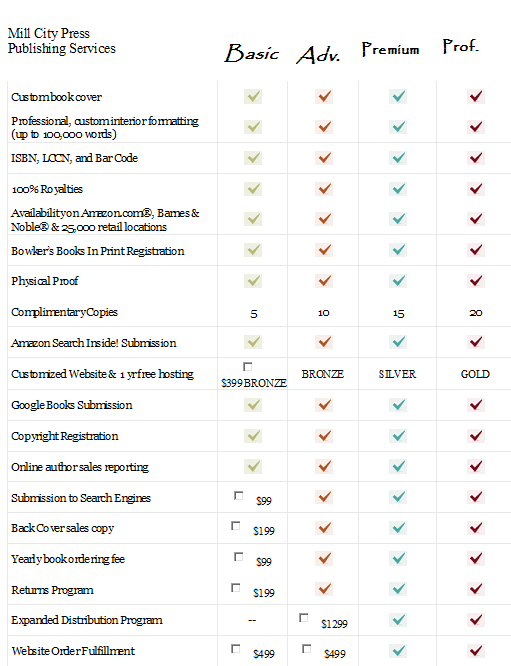 These are pretty much the core basics on offer from many good author solutions providers – the poor ones probably won’t include LCCN, anything near that kind of royalty, and many still don’t include the Amazon Search Inside program or detailed author sales reporting. I’d still prefer if MCP didn’t refer to author copies as complimentary – it still infers something for nothing when it is clearly factored into the price of the package. Although, it’s at least better than referring to the author copies as ‘free’. That’s the Basic package ($1697) from MCP, and while the price looks high, it is worth considering that the cover and interior are custom designed rather than a boiler pot template. I should also point out that MCP will provide a discount on the package price of $150 or more if the author is supplying completed files (subject to spec). The author can also provide an ISBN and imprint name with no MCP logo appearing on the finished book if that is the brief delivered by the author on submission. Let’s see what an extra $800 gets you in the Advanced package. On balance, I think an author is getting some financial benefit from the upgrade to the Advanced package. My figures put the above additional services around the $1000-1100 mark. I would stress that there is no point in adding the Returns Program if an author is not serious about the potential of physical print sales in bookstores, and that means also pairing this with a high-end distribution service combined with a short digital print run or offset print run. I’ve always argued that Returns Programs with POD (print on demand) are counterproductive. The whole reason for POD is not to have physical stocks until a ‘firm order’ at the point of sale is received. Many bookstores still don’t stock POD books. I’d also call authors’ attention to MCP’s yearly book ordering fee of $99. This is only worth paying for if you intend keeping physical books on hand or within a supply chain throughout the year and it also addresses MCP’s reasoning not to apply print mark-ups. It is worth considering – as an aside – how many authors don’t purchase the $99 yearly fee and incur the $23 charge multiple times throughout the year. MCP maybe on to something here that other author solutions providers should take note of! “Unlike print-on-demand distribution, Expanded Distribution involves our distributor sending copies of your book and its marketing materials to the buyers at Barnes & Noble, Ingram, and Baker & Taylor. Plus, books are sold to and stocked directly with Amazon.com and BN.com. The biggest advantage to Expanded Distribution is that your book gets an audience with a book buyer that it simply wouldn’t get with POD distribution or if you arranged your own distribution. “For authors who want to sell their books on their website and don’t want to deal with the potential time, space, and complications associated with fulfilling website orders themselves, we offer this convenient, affordable alternative. *A custom-designed book fulfillment page on your website where customers can place orders. *Custom designed back-end administrative console so you can log in and check your sales, inventory, and more. The distributor MCP refers to above is not BSP Book Group, owned by Hillcrest Media’s, but an independent third-party operation. The distributor option in the program provides a way to directly sell an author’s book to buyers in the retail trade. It’s the way books have been traditionally sold for decades and many very large publishing houses also operate their distribution wing ‘in-house’ with dedicated sales representatives. Again, as I’ve said elsewhere, and here on The Independent Publishing Magazine, publishers have more recently seemed happier to outsource every possible step of the publishing process if it makes economic sense, even when it cedes more and more control away to third-parties. And, yet, large publishers still seem aghast at why their place in the future of publishing is under threat! What Hillcrest Media do is what small presses and independent publishers have had to do, and continue to do well with niche distributors over the past twenty years. MCP price this service individually at $1299. It seems excessive for a one-book, one-author set-up, and, personally, I think it should only be considered by a well-seasoned self-publisher or an author who has built up a considerable reader-base, or, perhaps, a small niche press or authors’ co-operative for a collection or anthology. MCP say it a number of times on the website and in the company brochure – we don’t try to sell you things you don’t want or don’t need. Both additional services in the Premium package are worthy of serious consideration and investment. An author does still need to evaluate whether their sales will come from books directly sold or through the trade. The Website Order Fulfillment service on its own comes in at $499. 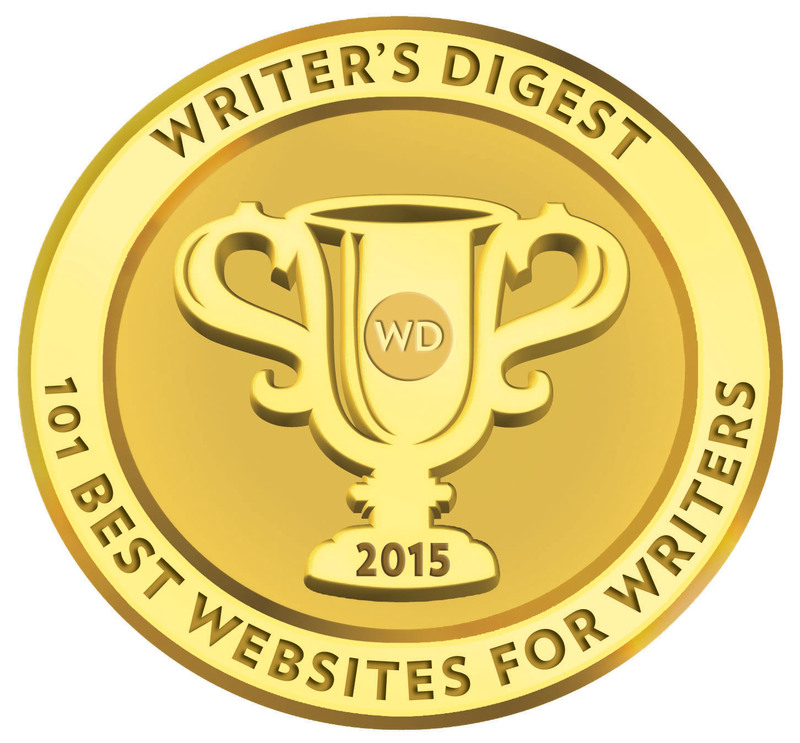 If an author can drive reader traffic to their website, then it is worth it. Actually, the website fulfillment is really a kind of first step towards the full expanded distribution and might best be considered before adding the Expanded Distribution at a later date if demand warrants it. Levine himself places the cost and need for services in the context of the author investing in getting the basic things right for for their book. But, I get that a great book, just may not have the budget to do everything, so if there is a book that is of that quality, but can’t quite afford everything, we still make any of those top tier services available to them (maybe they can just afford one). I’m always conscious of what an author pays for services. And, that is why we try to make something in this more robust distribution available for authors of varying budgets. But, honestly, if you don’t have your book professionally edited, you are wasting your money on all of this anyway and should buy the cheapest publishing package available and not spend any money on expanded distribution or aggressive advertising. If someone only has $3,000 to publish a book, I would never advise them to get expanded distribution, as their budget is too tight. 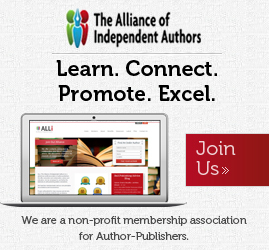 An author can purchase expanded distribution, waive the assessment, get their own ISBN, publish as their own publishing company and they could avail themselves to that level of distribution, but we aren’t connected. Additionally, they couldn’t purchase any marketing services other than basic ones anyone can do. There are cases where our distributor might reject a title in a case like this and in that case, the author can’t do it and we have to refund that expanded distribution money. For the additional cost of $1500 for these two services – on balance – it is value for money, but only if an author can convert the investment in the facilities to outright sales. Sure, you could set up your own buy links on an author website, but you have to deal with the administration and dispatch of the book to customers. Is that something you can afford the time to do if you are convinced your book will sell? The final package is the Professional package at a whopping $5997, that’s another $2000 on top of the Premium and includes ebook creation in all formats, distribution and a basic edit up to 75,000 words. Looking at MCP’s charges for in-house editing, a book of that length will cost $1500 for a very basic edit, and that is just too high for me. 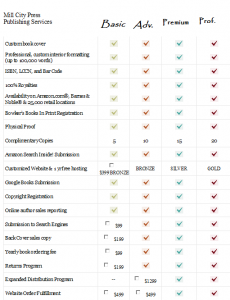 A freelance editor would do a basic edit cheaper and the ebook creation (in spite of MCP’s patented and enhanced program) is also above the competition costs and what most authors would be willing to pay for an individual ebook service. You really need to weigh up value for service here against your actual needs. Before moving on, I should also point out that MCP has in its contract something called ‘Fees and Renewal Fees’ under both the POD Distribution and Expanded Distribution programs – costing per year, per edition of book $79 and $349 respectively following the first year of distribution. While the Expanded Distribution is providing access to potential bookstore space, the $79 is more than you will find with providers like Lulu and CreateSpace to keep a POD book listed with the printers. Royalties are paid to the author based on the retail price set by the author, and less print cost + a $1.50 pick and pack handling fee, a 4.5% credit card fee, and less retail discounts offered to wholesalers or the retailer. Discounts to retailers will of course vary from as little as 20% up to 55%. MCP do require an author to have at least 25 copies of their books available to ship from the fulfillment center to customers. Using the Expanded Distribution package with MCP will mean authors also need to have stocks placed with the distributor and will incur an additional 18% discount from the net wholesale price of the book. Further details on royalties are available here from MCP and you can find ebook royalty information here. MCP supply books directly to all authors at wholesale cost price + the cost of shipping and this is something many author solutions providers do not do, particularly those offering books printed using POD. However, MCP also offer authors digital short run and offset printing, as well as POD. Below is a piece from the MCP website every self-published author should make themselves familiar with when it comes to choosing a solutions provider or just a book printer. “Digital Book Printing involves the use of toner and not ink. This is similar to how a copy machine makes a copy, except with much better technology and a higher quality result. Advances in digital printing technology have greatly narrowed the gap in quality as compared to offset printing. Improvements in technology have enabled the price per book for a short run to decrease as well. Digital printing can be done by the sheet just like a copier, or with a web roll where signatures are used—just like the offset book printing process. Even with all the new technology, the number one concern with digital book printing is ensuring a quality product. There are a lot of printers that say they print books and can do it for unbelievably low prices. Many of these printers simply do the printing and then outsource the binding of the book. By doing that, they are introducing a lot of quality control issues that can make your final product look like it’s not been professionally produced. MCP offer a host of marketing and promotional services far beyond posters, bookmarks and postcards that many other solutions providers classify as marketing and promotion. Other services include press releases, online media exposure, blog tours, publicists, as well as some of the services already mentioned above as part of the publishing packages. I should also note that while MCP will design a customised Twitter, Facebook and author website, the author will still need to provide content for the website and social network pages. I’m still unconvinced about the true value of paying to have these services/pages set up, and even if you are an author who thinks there is value in having someone else do the initial design and set-up, sooner or later you will have to come to terms with the fact that in self-publishing understanding and using social media is an essential tool to have in your kit. Further detail on MCP’s marketing services and affiliates can be found here. I stated at the start of this review that MCP is just one division of Hillcrest Media, and specifically aimed at self-published authors looking for all inclusive packages, but it is worth examining MCP and the position it has within the Hillcrest Media group. Hillcrest currently operate several different imprints listed below, one of which is Bascom, a hybrid publishing imprint, comprising of books by authors under traditional contracts and also authors who have paid some of the fees towards publication and marketing. The intention of Hillcrest is also to roll out the hybrid publishing model to their fiction imprint (North Loop Books) and health and lifestyle imprint (Crocus Hill Books), with more genre specific imprints also in development. Hillcrest Media is unique in that we publish our own titles and selected author-funded titles together in the same imprint. A good book, is a good book. Period. We have two general imprints (Bascom Publishing Group and Langdon Street Press). We also have four other imprints that specialize in trade novels (North Loop Books), business titles (Bascom Business), children’s books (Jabberwocky), and health/wellness/lifestyle (Crocus Hill Books). We also have four business divisions that provide self-publishing services (Mill City Press), ebook publishing and distribution (PublishGreen), book printing and distribution for small publishers (BPR Book Group), book fulfillment, warehousing, and website sales (My Book Orders). As part of Hillcrest Media’s integrated publishing programs, books submitted by authors purchasing the Expanded Distribution service as part of the Premium and Professional packages offered by MCP (or self-published authors purchasing the Expanded Distribution service individually) are automatically read and assessed for inclusion by the head acquisitions editor, Kate Ankofski (formerly of Simon & Schuster USA). Based on the assessment, which evaluates the quality of writing, editing required and marketability, a Hillcrest imprint will be recommended, provided the author can meet the editing and marketing requirements for that imprint. This is of course high-end publishing for the serious self-publisher looking at marketing a professional book product using a combination of traditional marketing and online marketing. This may include options like having a publicist at book events, sales representatives pitching to bookstore buyers, advertising campaigns, larger print runs, and as I indicated earlier when we looked at the Expanded Distribution service, if the author is not at least prepared to have a professionally edited book and just trying to operate on a budget of two or three thousand dollars then this is not for them. The is the most significant example of a hybrid publishing model I’ve seen, because the risk often associated with traditional publishing – that is, a publisher risking money upfront on a marketable but unproven book – is embedded within an egalitarian ethos of acquiring and promoting traditional and self-published books (part-funded) side by side in the same publishing imprint and through the same distributor to book buyers and retailers. The buyers make the decision to stock a book based on quality and marketability – not whether the publisher or the author funded the publication of the book. It sets it apart and above similar models operated by Thomas Nelson and Harlequin, where the buyer can immediately identify a self-publish-only imprint associated with a publishing house. In fact, under this particular hybrid model, both traditional and self-published authors use the same editorial, design and marketing professionals, but the lack of parity is that the self-published author is making significantly more on royalties based on their initial investment than their fellow in-house author. Hillcrest is set to continue to roll out the hybrid publishing model to more of its genre imprints in the future and in late summer will launch a program of books in coffee shops through an 85 store chain featuring both traditional and self-published titles. Continuing its egalitarian ethos, the program will be open to any author or publisher who wishes to apply to the program. Hillcrest is also continuing to develop a large book review online website with access to 1500 bloggers and book reviewers specifically intended to place equal highlight on self and traditionally published book titles ignored by mainstream media. In 2013, Hillcrest will also launch another of Levine’s projects, Fiction.com, dedicated to promoting books of fiction and independent booksellers at very low trade discounts from publishers. MCP’s publishing packages are more expensive than some of its competitors but there is a depth in service and quality you won’t find elsewhere. MCP books are of high print quality and design, and the favourable print costs allows authors to price books competitively for the market. There is one critical element missing from the MCP website – and that is a display of books or at least links to books. Of course, like all author solutions providers, MCP is in the business of selling publishing services to authors, but books remain the end product of those services, and for me, an author solutions provider commits a cardinal sin if books or direct buy paths are not displayed. True, authors don’t visit the websites of providers to buy books, but they do want to see samples of how their books will potentially look. Consider visiting an online company providing selling seeds to horticulturalists, or booking your next summer holiday with a travel agent – imagine not seeing a visual images of flowers, bushes, an airplane or a sandy beach? MCP is an author solutions provider offering extensive information on the realities of self-publishing and its true costs for the serious author with every conceivable service available, right through to it’s hybrid imprints at parent company, Hillcrest Media. In reality, I would not recommend many of the high-end packages to 70% of self-published authors, simply, because so many self-published books are unfinished symphonies, and are rushed into the light of day too soon. The real value for money with MCP comes with their entry-level POD distribution packages. MCP really excels with print cost value and complete transparency. I’d suggest all self-published authors look at the MCP website and read its contract for all the charges other providers choose to hide or simply don’t disclose. The contract and terms, though extensive and at times intensive reading, are the most transparent you will find from a provider. If you are a serious author with a completed book file and cover, a fully and professionally copy edited book (with valid editor credentials for expanded distribution), and simply want your book printed – MCP may be an ideal option, and if you also have the money to invest in professional distribution and marketing, then MCP may be a perfect fit. UPDATE: December, 2015 – Website has been revised and relaunched. Thank you, Mick! It is more difficult than one might think to find these companies objectively reviewed. I have investigated a number of self-publishing and POD companies recently, and Mill City is the one I keep coming back to. When I have priced out the services offered in their lower-end (not all THAT low! )package to see if I could obtain the same services less expensively on my own, I found there was very little difference. Another thing I appreciate is their openness. Their 19-page contract spells everything out. What do you think of their author web sites? POD packages are ver much ‘horses for courses’. One author’s ideal package could be thoroughly unsuitable to another author. That’s why I prefare POD publishers to offer a basic package, reasonablly priced that takes in all the neccessary requirements for making your book available, without an author being ‘double’ charged when they want copies of their own book to sell direct or from their own website, and the ability to add a selected service on at will if neccessary. Too often I look at a company and feel a perspective author would be better off going directly to Lightning Source and truely self publishing. I’m loathe on these pages to engage in publisher promotion, and as you have noted, try to be as objective as I can. You can go into far more detail about a publisher in a ‘self-help book to pod publishing’ in preparation I assure you), but I am somwhat confined on the site to a full expansion. Regarding Mill City – I came across them around the time I read Levine’s ‘Fine Print’ book and deliberately held off to see how his own publishing company would fair. While it’s not ideal, I agree, it has a lot going for it, and Levine’s own stated aims and aspirations for self publishing authors kind of acts as a ‘statement of promise and intent’ for Mill City. Too often, publishers with grand ideas quickly fall by the wayside. Mill City looks like is has the business model to stay the course. Only time will tell. I think they have the marketing approach correct and seem willing to update and review the challenges in an ever-changing industry, FWIW. Websites are websites and as i’m sure Levine would say himself – the truth is in the fine print! I’ve seen publishers with great websites and author resources but fall flat on their face when it comes to delivery of the service. I signed a contract with MCP almost a year ago. I have had more problems than I care to think about, from lack of communication to poor customer service in many areas. Just when I think the disappointments must be over and done, I have to add another to the list. There’s really too much to list here. It’s very unfortunate. Sorry to hear about your bad experience with MCP. Certainly communication is one of the most important areas a company of any kind needs to get right before it can even attempt to provide a good service. Those interested can follow a current debate about MCP over on Absolutewrite’s forum at the link below. I could write word for work what Stacy said about lack of communication, etc. I signed with MCP in May of 2008 & signed up for the Bookstore/Library packet along with the pub packet. When I ran out of money & had to cancel the Bookstore end it took them two months to take care of that process…2months. They flat lied about the location of the print company, claiming it was nearby. It was in Tenn. I found this out when they shipped my 10 complimentary books. I could go on but will say I’d never recommend them to anyone because they also withheld vital data I wanted. I terminated my contract with them in Jan. 2009. Stacey Geist is the kind of customer any company hates to have. She rude, doesn’t read contracts, and abuses those she works with. I feel sorry that MCP had to deal with her. She’s the kind of customer that makes you want to close your business. You make serveral incorrect points about MCP. The first is about the returns. MCP is one of the few self publishing companies that work with real distributors who have need sell books to the book trade to make money. Returns have to be accepted or books won’t be purchased by retailers. MCP nor any other publisher gets to make and/or change that rule. Second, with regard to MCP’s editing for distribution, a minimal copy edit (at least) is required because the distributors demand books that are well edited. Books edited by someone other than an experienced, professional book editor are never of the quality that they need to be to give the book a chance. However, in all cases where an author has a proven, experienced editor MCP has waived the editing requirment. The fact is that most books that get to this level still need more editing to be really able to compete. The question of editing on MCP’s packages has been made to me by several authors who went to MCP with fully edited MS and they fee was not charged to them. I have now clarified this point in the review. The current on-going discussion on MCP continues on Absolutewrite. Poor service. Poor communications. Did not do job in time stated. misrepresented shipping charge. Book poorly trimmed. Will not use again. I don’t think this is called self publishing to start with. A self publisher oversees and does all his own work… in the case of editing he solicits the work of a professional friend. We all have them in our circles don’t we? This kind is actually vanity publishing isn’t it? If you have everything done yourself you will save thousands. There are enough guides and books to help you understand what need to be done to make your book pro. That’s what companies like this do, they oversee this project and also sub-cons the process. Only a book published by the author or the imprint owned and registered to the author is truly self-published. In other words – the ISBN must be registered with the ISBN agency in the authors name or imprint name. They term ‘self-publishing company’ is a bit of an oxymoron, and though incorrect, it has become a generic term to refer to companies that provide publishing services to authors – what I refer to now as author solutions services. That can be anything from design and editing, to the binding and printing itself. The term is used now, rightly or wrongly, in the same way ‘Traditional Publisher’ is used to describe a mainstream commercial publishing house. Again, as a correct and accurate term, it’s a complete misnomer. And, yes, these ‘self-publishing companies’ can be anything from pure vanity publishing to hybrid publishing. Companies pen these terms to avoid the vanity label. I’ve written whole articles about the ludicrous amount of ‘terms’ used to describe this area – subsidy, assisted, partnership etc. Here is a positive review from 2010, which is newer than some of the reviews here. Not sure if they have different people working there or if this guy just got connected with a better team. Thought it was worth sharing anyway. Thanks for the link, Ashley! I dealt with MCP also, I have definitely taken my fulfillment services elsewhere! I just completed the self-publishing process for my first novel. I used Mill City Press for this effort, and could not be happier! Their process is very well organized, and I received the handholding and one-on-one assistance that any first time author desperately needs. Like writing a novel, publishing a book is a learning process. The folks at Mill City carefully walked me through all of the decisions that needed to be made along the way, and were only a phone call or an e-mail away when I needed them. I published a paperback book using Mill City’s editing, book cover design, book formatting/interior layout, book fulfillment marketing, back cover copy, and, of course, printing services. Before choosing Mill City I wasted a lot of time trying to get the attention of an agent or conventional publishing company. (Don’t bother.) I then chose another self-publishing company and, after numerous issues, I had to cancel my contract. From day one with Mill City I received top-notch service. In addition to all of the above, their printing prices are by far the lowest I could find. This, of course, allows an author to price his or her book more competitively. I am in the middle of writing my next novel and will definitely use Mill City Press to have it published. I can’t describe the joy you will get when your novel arrives in your mailbox and it is everything you were hoping for. I think their expences compared to the quality of their services are not out of this world. For instance, they promise that there will be no charge for books being sent to the author himself. I tried to order 28 copies (one carton) of my book to myself in Finland. First they tried to charge me US$ 550.01 for the shipment. After a lengthy discussion they finally settled for US$ 268.97. This is absolutely crazy because for example at CreateSpace the cost of this shipment would be only US$ 44.99. Besides, dealing with them you end up paying almost a thousand dollars a year for having your book available in the expanded distribution program and in the fulfilment program + upkeeping the website necessary for the fulfilment program etc. At Greatespace you get all of this absolutely free. The pretension of “100 % royalty” is absolutely worthless when their other sky high expences mak it impossible to sell any books anyway. I think you would do a much wiser choise picking up a company that openly takes a certain share of the royalty to itself because then, at least in theory, they have some interest to promote sales, or at least, not preventing it with astronomical expenses. I had to smile at the countless instances of the term “author solutions” sprinkled throughout this article… Clearly an attempt by the author to steer any organic search-engine traffic for the term “Author Solutions” (The Worst Name in POD companies) to THIS piece, and perhaps, by extension, to MCP. And frankly, while I have no problem with that (the less business the AS bandits get, the better), and I HAVE heard plenty of good things about MCP, it chips away a bit at the author’s impartiality, no? The term “author solutions” is used in an entirely generic way in the article. I think that’s very clear to anyone reading it, rather than some attempt to gain SEO ranking on Google. The phrase appears about 10 times in the article and many of the times the phrase is used as “author solutions providers”. The phrase self-publishing(ers) appears 15 times, so I guess I must be using that for SEO purposes as well! Selfpublishing.com will be very irked at me so! Even if I was deliberately using it for SEO purposes, I’m failing miserably! On a Google search of the phrase “author solutions”, The Independent Publishing Magazine appears on the 5th search page for the first time (that’s nearly 50 page links down). David Gaughran’s blog appears 4 times alone on Google’s first page for that search. For the same phrase search (author solutions) on Google, Writers Beware, Publishers Weekly, Techcrunch, The Digital Reader, Forbes, IndieReader and Jane Friedman’s blog all appear ahead of The Independent Publishing Magazine. I think your assumption is kinda blown out of the water there! PS: We have a guest post coming up in the next day or two about Author Solutions – yes, that one, not the generic term! Oh yeah, I forgot, their wordpress web package. When they sell to you they promise you all kinds of access. When it comes down to it, you cannot create any pages in their wordpress package…. any regular wordpress theme allows you to do so and to set privileges for users…. but not the MCP wordpress theme. Because it cannot do this you cannot even really call it a wordpress website. This claim is false advertising. So when you want to create another page, you have to again go through MCP and guess what… charges, charges, charges… for a site that is not wordpress. When I asked them to migrate the wordpress site to my own server it all came out… not possible, proprietary code. And guess what… I ended up re-creating the entire site in a software called artisteer and was again stuck with having to do the work myself. I am disgusted with MCP…. my advice: Stay away from them!!!! So, I get an email from Mill City Press out of the blue. I says I should ‘check them out,’ but there is no link in the email. Is that attention to details . . . or what? I search and find this review. I couldn’t read all of it because it font ‘grey font on white,’ very small font, and it’s painful on my tired old eyes. However, I didn’t miss the words ‘author solutions’ early on. I steer a wide path around ‘author solutions,’ especially if it’s the ‘author solutions’ in Bloomington, Indiana. Neglecting to provide a link in their email is not big deal, unless you have spent thousands of hours writing a 600+ page fiction novel about an abused child, want to ensure your editor is on the ball. I think I’ll pass. . . .